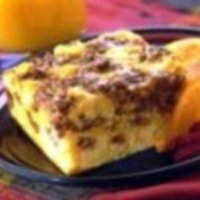 This breakfast casserole recipe is a great way to start your day with a hot meal. It's one the whole family will love. By using turkey sausage, as an alternative to the fattier breakfast sausage, and low fat cheese, this meal is lower in fats and calories. To make it an even healthier breakfast, try using just egg whites or an egg substitute. It will reduce the calories and fat without losing all the great flavor of this breakfast meal. 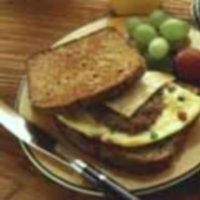 Scroll down to view the ingredients, directions, nutrition and Weight Watchers Points for this breakfast idea. This delicious breakfast casserole recipe is layered with egg, cheese and turkey sausage. You can prepare this the night before so it's ready to go in the oven first thing in the morning. Spray 13 x 9 inch baking dish. Place bread in baking dish and sprinkle with cheese. Combine evaporated milk, eggs, dry mustard, onion powder and pepper in medium sized bowl. Pour egg mixture evenly over bread and cheese. Sprinkle the sausage crumbles on top. Bake for 55 to 60 minutes or until cheese is golden brown. Cover with foil if cheese starts to brown too quickly. Cut into 8 equal squares and serve. The eggs were not used to calculate Freestlye SmartPoints. Although this recipe uses turkey sausage, because it is sausage and not just ground turkey, there are Freestyle SmartPoints values. To reduce the calories and fat in this recipe even more, try using an egg substitute or egg whites only. In addition to this casserole try this hot breakfast sandwich idea for another quick meal. Here's a breakfast casserole recipe that looks delish. This healthy breakfast sandwich will be gobbled up in no time by your family. 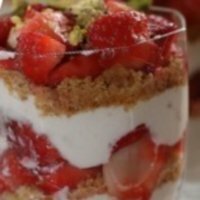 This breakfast recipe is a great way to start your day with fresh strawberries and low fat yogurt. 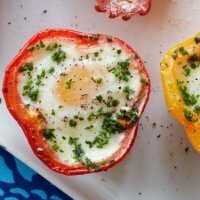 Eggs never tasted so good as with this breakfast idea. Skip the meats and cheese and this is zero SmartPoints. Add some sweet to your salty party mix. 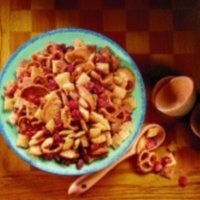 This recipe takes a classic and turns into something unique. 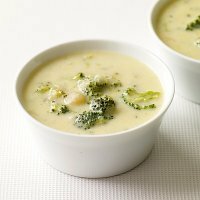 Warm up to this creamy delicious soup recipe made with skim milk and low fat cheese to make it a healthy selection. 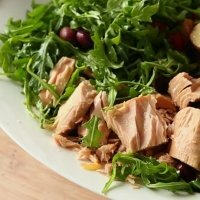 This tuna tossed salad flavored with a French lemon dressing will go great with your soups. When is a Salad no Longer Healthy? When you think of salads, you think of a healthy meal. Before you pile on all the goodies at the salad bar, read this article to find out why not all salads are healthy. Fish is a favorite ingredient to many recipes. Whether it's white fish, tilapia, salmon or other fishes, there are many health benefits to these foods. Turkey has a special place for this special holiday. Try some of these ideas this holiday for your turkey dinner.